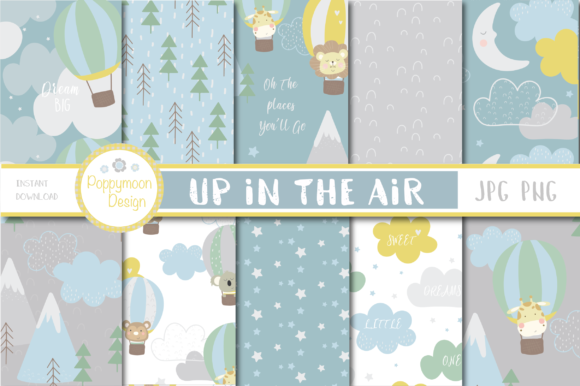 A cute set of digital papers, which includes patterns using cute animals in air balloons, clouds, mountains and trees..
Great for nursery decor, baby shower, invites and more. 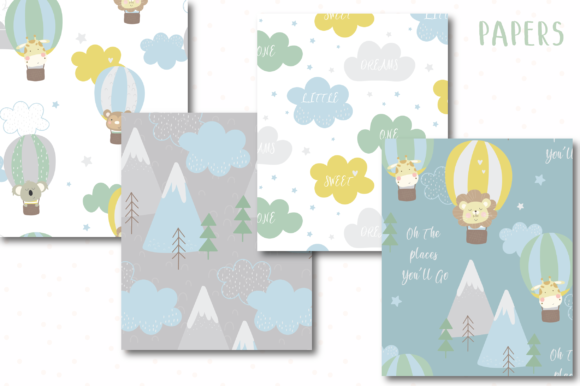 10 Coordinating papers, sheet size 12″ x 12″, file format JPG and PNG. Coordinating clipart can be downloaded separate.